Amputee Soccer has been described as the greatest one-legged game in the world. 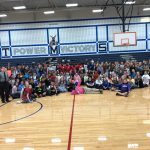 It began as a rehabilitation and strengthening activity in the 1980's. However, those who played found that it was great as a real sport outside the rehabilitation setting. 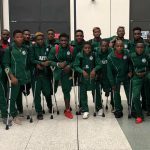 Under the guidance of the World Amputee Football Federation, amputee soccer soon spread from local fields and arenas to become a global sport with its own World Cup. 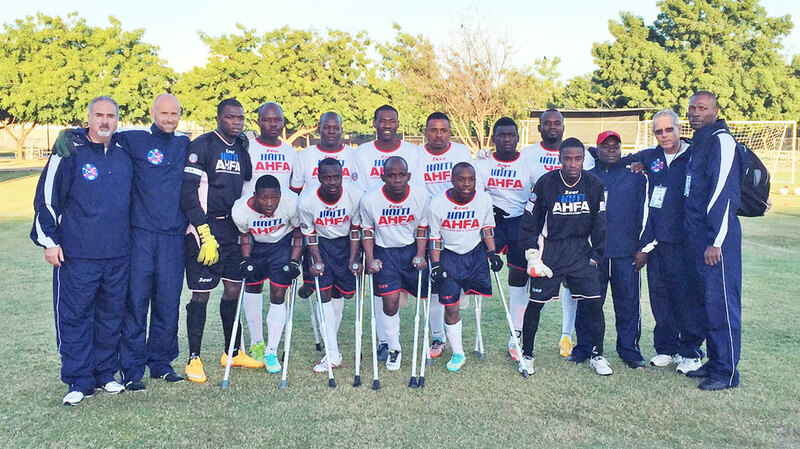 Amputee Soccer is international and involves Russian and other Eastern European veterans of the Afghanistan war, West African combat survivors and even Middle Eastern players. 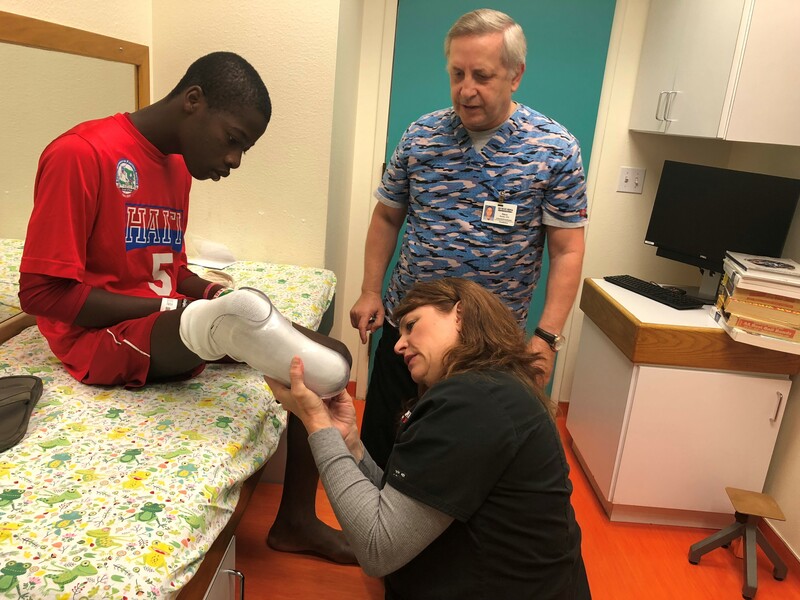 And following the tragic 2010 earthquake in Haiti, the introduction of amputee soccer encouraged amputee survivors of the fifth worst earthquake in human history. Amputee Soccer is very similar in most aspects to its able-bodied counterpart Just as in able-bodied football, both women and men participate. Amputee football athletes have only one functional upper or lower body limb. Goal keepers are missing at least a hand or have a nonfunctional arm while fielders are missing at least a foot or have a nonfunctional leg. The only adaptive equipment required to play the game is forearm crutches. Fielders use these crutches to ambulate on the field of play. Goals and field of play are slightly smaller than able-bodied football which would easily fit on a normal football pitch. FIFA rules are followed with the exception that there is no off side and fielders kick the ball from the sideline. 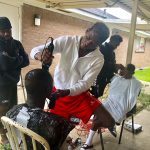 For rules of the game, visit http://www.worldamputeefootball.com. Amputee Soccer provides opportunities for amputees to be part of a team, and gives them something very important—a chance to win again. Amputee Soccer can be played as a recreational therapy, simply for the joy of playing. And it can be played as a sport in local competitions or as a spectator sport in higher levels of competition. 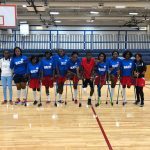 Operation Go Quickly believes that a well functioning amputee soccer program can drastically change the perception of people with disabilities. The stigma of being impaired diminishes and inclusion of the disabled in society improves dramatically. Once seen on the football pitch, amputees are considered for employment, and their social status drastically improves. 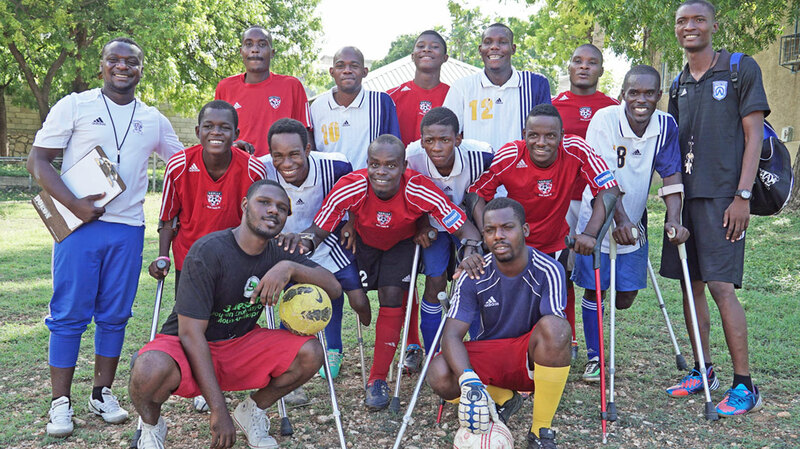 Operation Go Quickly supports the development of co-educational amputee soccer teams and leagues by providing training and basic equipment. Forearm (Canadian) crutches are the sole adaptive equipment to play the sport. 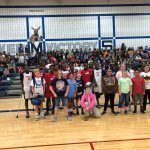 Therefore donations of child, youth and adult sizes are actively sought along with cleats, shin guards, uniforms and soccer gear. Those with access to new or used items are encouraged to contact Operation Go Quickly. 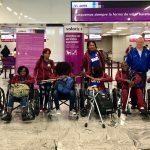 Organizing an amputee soccer equipment drive would help us spread the Beautiful One-legged Game to the four corners of the world. 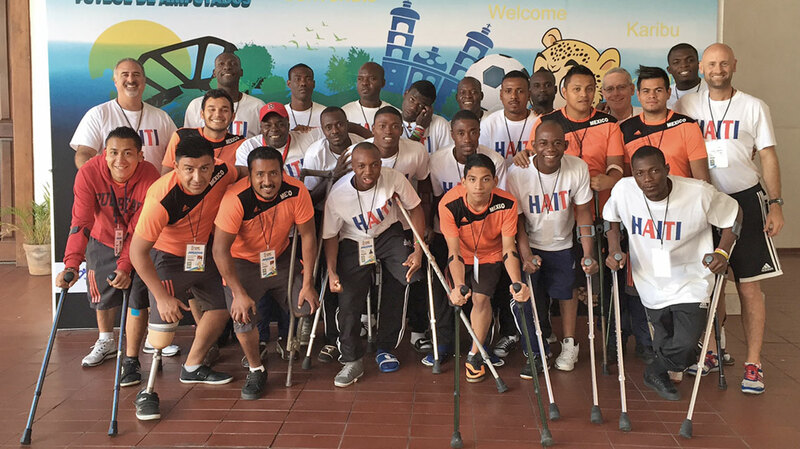 The Haiti National Amputee Soccer Team is preparing for the 2018 World Cup of Amputee Soccer. 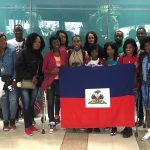 They leave for Guadalajara and the World Cup on Wednesday, October 24. Here’s a gallery from events leading up to the World Cup. 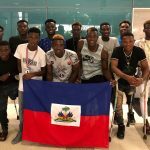 Click here for the GoFundMe campaign to raise funds for the Haiti Amputee Soccer Men’s and Women’s Teams travel and documentary.